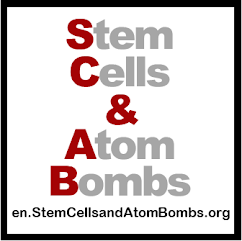 en.StemCellsandAtomBombs.org: Skydiving? Why in the hell would I go skydiving? Skydiving? Why in the hell would I go skydiving? I hope that you and all of yours have a wonderful 2012. I would like to leave you with my favourite post which was written in November 2010 and to let you know that this is still exactly how I feel. 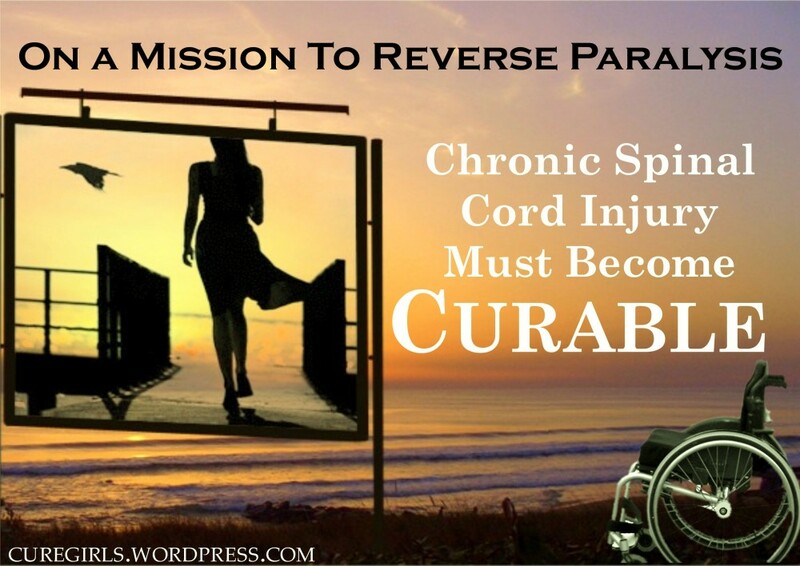 Let's ring in 2012 with a new enthusiasm for a cure for paralysis. Day one after the cure. It's 7:00am and already the kids are buzzing about my head on the first floor. Singing Japanese songs that I am vaguely familiar with and then they begin to demand that I play with them. So I do. Leaping from my futon, actually you don't leap from a futon on the floor (tatami to be exact), I roll over and get up. I shew the kids away and tell them to give me fifteen minutes. I go out the front door, get the paper, grab my cigarettes, and head to the washroom where I can read the paper and smoke for a few minutes in peace and quiet. After I've had these few minutes, it's time to get breakfast going on the second floor. I ask the kids how they want their eggs done. "Hard boiled," answers one, "sunny-side-up," answers the other, but I tell them to decide ONE way to make their eggs and I'll agree to whatever. They engage in a quick round of janken (paper-scissors-rock), and Luca, the oldest, wins. Sunny-side-up it is. Eggs, sausages (not real Italian sausages, but little tiny wiener type sausages from Japan), toast (not with olive oil and garlic, but with melted processed cheese), milk, and coffee for me. It's time to eat, but for Luca and Lio, it's time to fight about every egg, wiener, and slice of toast. I holler, and that calms them down. Finally we eat. Next battle. It's Tuesday morning, during Obon holidays (that's when the dead come home in Japan and we have a week off to welcome them back), so I don't want to waste the day. "Brush your teeth, and get dressed." Again I win and they're off to the third floor to get ready. For me, it's five minutes of peace with which I run out to the balcony with the remainder of my coffee and newspaper, and cigarettes to grab a moment of peace. "We're done." They come racing down the stairs and get ready to play in the street. I wonder if they'll now leave me alone, but looking at the deserted street below, I see that with no other kids, they'll soon be beckoning me, and I'll be happy. All three of us now in the hot August street playing the Obama game. Interesting game it is. It used to be called the Osama (not the Bin Laden kind) game. Osama means king in Japanese and in this game you move up levels until you are finally the king. We named it the Obama game after the American elections. We play for about one hour until we are all drenched in the Osaka sweat that goes along with the humidity and then all agree to go back into the house and the air conditioning. I hope that it's done, but my wife, who hasn't yet been out in the open heat, declares that we're going to Konan, a neighbourhood home centre. Despite the fact that the heat is stifling, I'm quite happy to go. I want to get some wood to build shelves in the pantry, pick up some new plants, a new potter for my olive tree, and buy whatever else these places offer. Konan is great, but the bike ride to get there is HOT! Finally there, we buy all the stuff we need, and don't need, and then head out to the parking lot for icecream. I wish that there was a beer for me, but there isn't, and even if there was, my wife is not going to let me drink beer at three o'clock in the afternoon. We get home after the long bike ride up hyakuenbashi (one hundred yen bridge), and just when I'm ready to start relaxing and drink a beer regardless of whomever objects, we decide to go out yet again. This time forokonomiyaki which is like...I don't know what it's like. I ate okonomiyaki my first day in Japan and was told that it was a Japanese pizza. Well, it's not a pizza, it's more like a pancake full of chopped cabbage and slices of pork. Whatever, it's delicious and we eat it. Oh, I forgot something. Before we go to eat okonomiyaki, my kids decide that it would be great to go to thesento (public bath) after we eat, so first we got to get our clothes and towels. I don't know if any of you know what a public bath is, but in Japan I go often. It's basically a place with great big baths and showers along the walls. Great big tubs of steaming hot water, some inside and some outside, along with saunas and massage chairs. It's great and if you can learn to get naked with a bunch of guys, you'd soon learn to love it, as I did. So after the okonomiyaki, me, Luca, and Lio are sitting up to our necks in hot steaming water outside. It's great, but I forgot the real reason for their insistence. The public bath I go to, Shintokuyu, has a lounge area with ice cream. So even though I want to stay and soak in the boiling water, I get out and satisfy my kids' desire for ice cream. I'm lucky though, because they sell both ice cream AND beer. I'm beat but on the bike ride back home (about 2 minutes) I realize that I'm missing the most important thing for the end of a great day - MORE beer. We stop at the shop and pick up a few and head home. We play upstairs in the kids' bedroom on the third floor. I tell them a story and then we say our prayers. 'Our Father', 'Hail Mary', and a host of other prayers said between English, Italian, Japanese, and even Latin. But it wouldn't have mattered if I had said them in Swahili, they're both asleep. Now, I go back down to the first floor, it's too hot upstairs for me, roll out the futon, crack open a beer, and read myself to sleep. Tomorrow I've promised the kids that we'll go ZA BOOM which is a big swimming pool at an amusement park about thirty minutes from my house. Sound boring? Not to me. It's actually what I did the day I became paralyzed. That day, I only got to the futon part on the first floor before the pain started and I was rushed to the hospital, leaving my kids to be worried about their father AND why they weren't going to ZA BOOM. For me, the first day that I get back my freedom, I wish to relive the last day without the pain that started this all (and hopefully without the cigarettes). Then I want to finish up my Obon holidays and head back to teaching and the union, and do it standing. I remember my first session of rehab three days after my operation. The physiotherapist, who was a really nice guy, told me about how people in wheelchairs climb mountains, go scuba diving, parachuting, and travel all over the world. I thought to myself, "This guy is crazy." He was talking about my new enjoyable life in the chair. Why in the hell would I want to go scuba diving or parachuting from my chair? I never did these things before I got paralyzed, so why would I want to do these things now? I would much rather have had a discussion about new cures that are being researched for spinal cord injury. Instead I got the "life in the chair" talk. Maybe it's about validating yourself or feeling alive; that you can do these things even if your are in the chair. But I don't need these things to validate that I am alive. I have pain and pins and needles that remind me that I'm alive. I'm not criticizing those who do do these things. Maybe they like it. Maybe they used to do it. Maybe they started doing it after they were paralyzed. All I'm saying is that I would rather spend my time trying to make the cure a reality rather than ski down a mountain in my chair. I don't need amusements, because life in the chair is not amusing. When they tell me that there is no hope whatsoever. When all the research shows that curing spinal cord injury is impossible, I might then decide that scuba diving is something that I really should get in to. Nice to read your experiences here. Thanks for sharing a nice read.